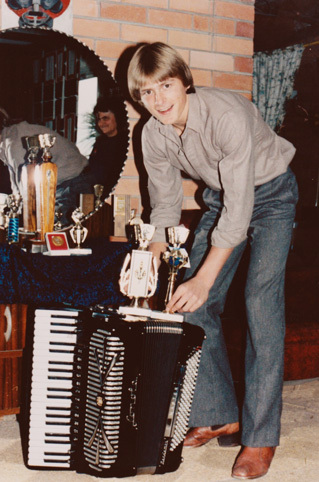 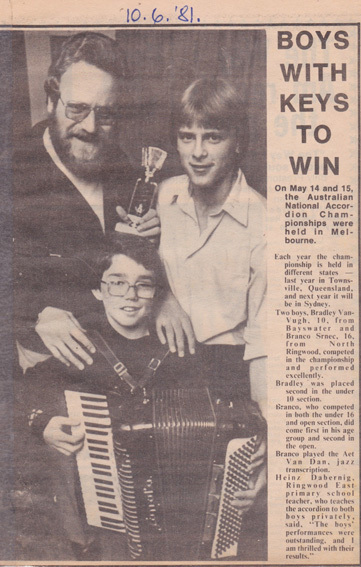 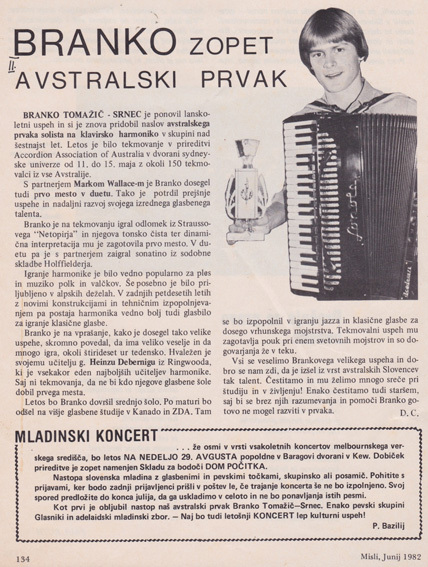 ““We bought Branko his first piano accordion when he was 9 years old. He attended private tuition with Heinz Dabernik for 19 years. 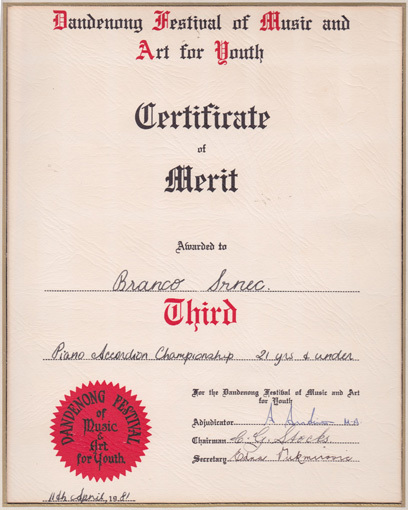 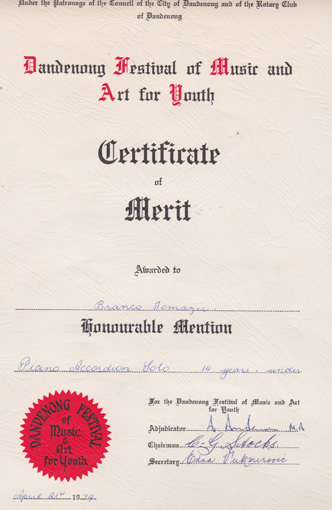 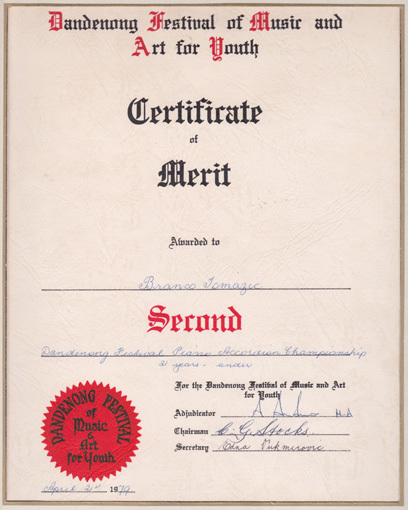 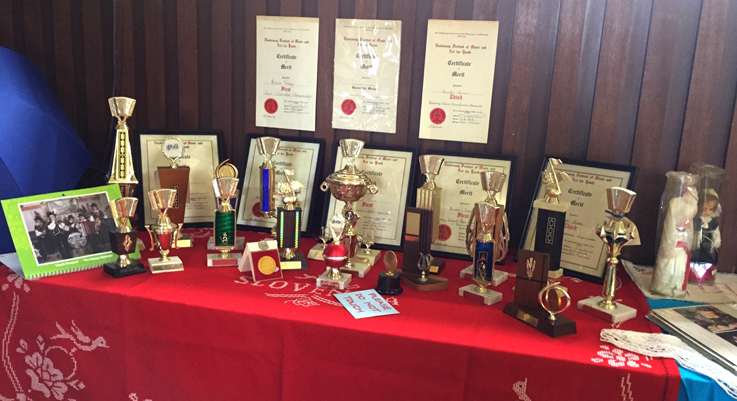 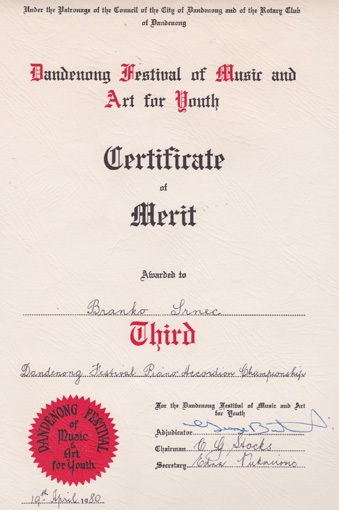 Branko competed every year at the Dandenong Festival of Music and Art for Youth, receiving many Certificates of Merit, Honourable Mention, achieving First, Second and Third places.Branko participated at many Slovenian Youth Concerts and as a soloist. 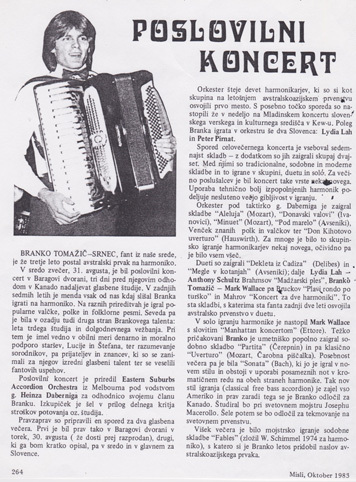 He was a member of the Slovenian band named Veseli Planinci – Happy Alpinists, in Melbourne, Sydney, Adelaide and Canberra. 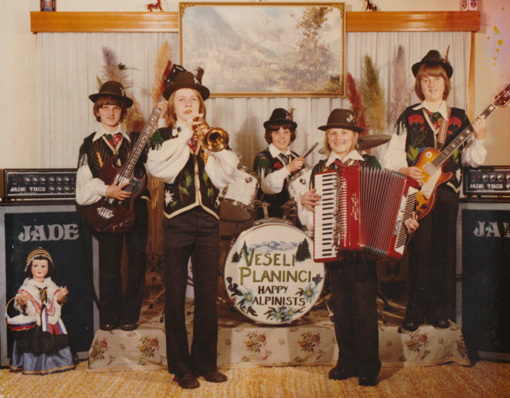 Veseli Planinci performed on many occasions, such as New Years’ Eve, Fathers’ Day, Mothers’ Day, Cultural Days and Slovenian Festivals, at the Slovenian Club Planica as well as at other Slovenian Associations in Melbourne. 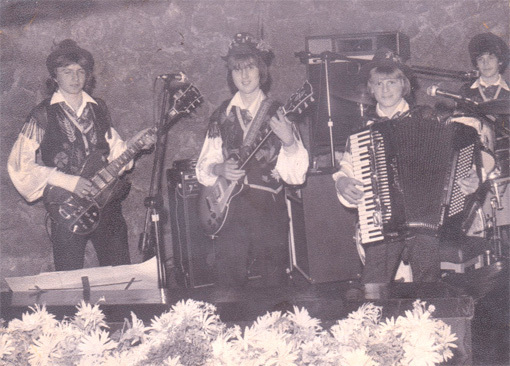 The band played at the German Club, Cuckoo, the Dutch Club, October Fest in Melbourne, at the Dandenong Festival, the Ukranian Club, and also performed at various Australian High Schools in Box Hill and in Dandenong. Branko was invited by Draga Gelt to accompany the Slovenian folk dancing group of Slovenian Association Melbourne for the 30th Anniversary cultural program. 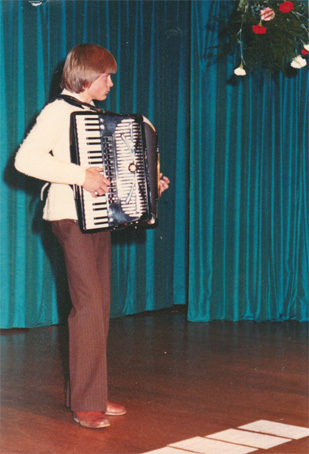 He adapted the original music for the button accordion to a piano accordion style. 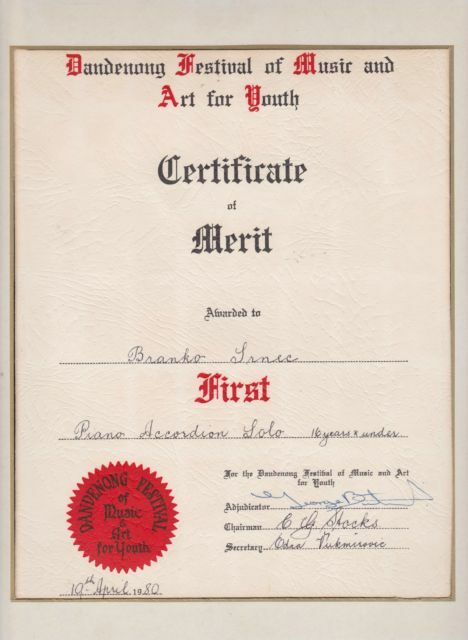 Branko was invited on many occasions to perform for special official visits by Slovenian and Australian politicians.